The St. Louis Cardinals system went 5-1 on Sunday behind a lot of offense. 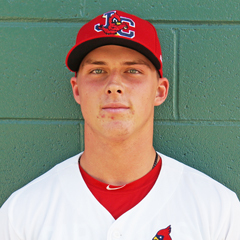 Our Player of the Day is Johnson City third baseman Nolan Gorman, whose 4-for-5 day included two doubles, a home run and four RBI. His teammate, Donivan Williams, hit a grand slam. 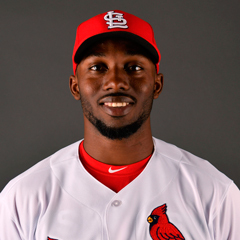 Memphis’ Adolis Garcia and Peoria’s Yariel Gonzalez had three-run shots and Chiefs’ third baseman Elehuris Montero tied team and league records with four doubles. Recaps of games played on Sunday, July 29. With plenty of offensive contributions from the entire batting order, the Redbirds rolled to a 9-4 victory on Sunday in Las Vegas. Memphis right fielder Adolis Garcia had three hits in six at-bats, batting in three runs with his 19th home run of the season. Catcher Carson Kelly and center fielder Lane Thomas also had three hits and each drove in a pair of runs. Thomas had a memorable Triple-A debut, finishing a home run shy of the cycle. 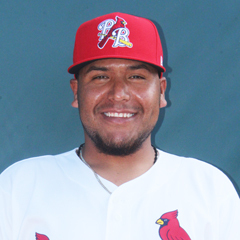 He was one of four Redbirds to score two runs; Garcia, left fielder Rangel Ravelo, and second baseman Wilfredo Tovar were the other three. Kevin Herget improved his record to 8-7 with his 5 2/3 innings of work. Herget allowed four earned runs, two on solo homers. Tommy Layne, Matt Bowman, and Andrew Morales combined for 3 ⅓ frames of scoreless relief. Monday’s game: Connor Jones (0-0, 0.00; Triple-A debut.) at Las Vegas 51s, 9:05 PM Central time. A pair of solo home runs in the bottom of the ninth inning led to a 5-4 walk-off win for the Cardinals over the Naturals at Hammons Field. With one out and trailing by a 4-3 score, shortstop Tommy Edman tied the game with his fifth home run of the season. An out later, right fielder Randy Arozarena dug into the box and launched his seventh long ball for the win. Catcher Andrew Knizner and first baseman John Nogowski drove in a run apiece, and second baseman Andy Young and third baseman Evan Mendoza each scored. In his first Double-A outing, Casey Meisner turned in a quality start of six innings with three runs allowed. The right-hander fanned six batters and walked one. 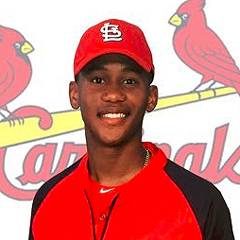 Ramon Santos logged scoreless seventh and eighth innings before another new Cardinal – Seth Elledge – received his first win after working the ninth inning. Monday’s game: Evan Kruczynski (0-0, 0.00; Double-A debut) vs. Tulsa Drillers, 6:30 PM Central time. With zeroes throughout the first eight frames by both clubs, the Tarpons snapped that string with a run in the bottom of the ninth inning for a 1-0, walk-off win over the visiting high-A Cardinals. Palm Beach starter Jesus Cruz logged seven shutout innings, holding the Tarpons to just four hits and one walk with eight strikeouts. John Kilichowski worked a scoreless eighth, but things went south for the lefty in the ninth. A hit batsman followed by two errors on the next play put runners at second and third with nobody out. An intentional walk loaded the bases before Tarpons left fielder Don Thompson-Williams singled up the middle to bring home the game-winning tally. Palm Beach collected just five hits. First baseman Ryan McCarvel had two, and left fielder Dylan Carlson doubled to account for the Cardinals’ lone extra-base knock. Catcher Jose Godoy and third baseman Juan Yepez each drew a walk, and the Cardinals stranded eight runners on base. Next game: TBA vs. Daytona Tortugas, 5:30 PM Central time on Tuesday. It was the visiting Chiefs who were kings of the lumber on Sunday. With runs in six of nine innings (two or more runs in four of those six), Peoria rumbled to 12-3 road win over the Clinton LumberKings. 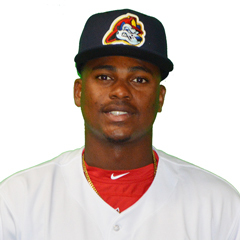 Chiefs third baseman Elehuris Montero hit four doubles, tying the team and Midwest League single-game record, and is up to 25 on the season. Montero scored three runs and knocked in two. Second baseman Yariel Gonzalez scored three and drove in as many on a home run, and right fielder Nick Plummer scored three times, reaching base four times on a singles, two walks and a home run. Starter Johan Oviedo worked five innings. He held the LumberKings to three runs and earned his seventh win in 14 decisions, evening his record to 7-7. Zach Prendergast and Kodi Whitley turned in two scoreless frames apiece to seal the victory. 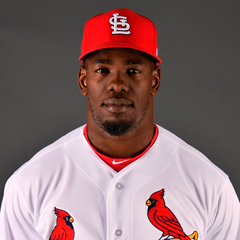 Monday’s game: Angel Rondon (3-0, 3.54) at Clinton LumberKings, 6:30 PM Central time. Timely hitting paid off, as the Spikes offense worked together for a 7-1 Sunday road victory against the Spinners. State College third baseman Edwin Figuera and center fielder Wadye Ynfante each doubled twice, and Figuera led the way with three runs batted in and two runs scored. The Spikes combined to go 5-for-13 with runners in scoring position with only five left stranded. Starter Diego Cordero tossed 6 1/3 innings and held the Spinners to one run. Cordero earned the win, his second of three decisions with State College. Edgar Gonzalez worked 1 ⅔ innings with three punchouts, and Kevin Hamann logged a scoreless ninth inning. Monday’s game: Chris Holba (1-1, 3.38) vs. Batavia Muckdogs, 6:05 PM Central time. With eight unanswered runs from the third inning forward, the Cardinals cruised to an 8-1 win over the visiting Braves on Sunday. Johnson City third baseman Nolan Gorman, our Player of the Day, highlighted the offensive effort. Going 4-for-5, Gorman smacked two doubles and his eighth home run of the season. Gorman drove in four as did second baseman Donivan Williams – via a grand slam in the fifth inning. Colin Schmid improved to 2-0 on the season with five innings of one-run ball. Schmid fanned four and limited the Braves to only four hits. Four relievers – Evan Sisk, Oneiver Diaz, David Oca, Parker Kelly – logged four scoreless innings to close out the game, with only five Danville baserunners reaching after the third inning. Next game: TBA vs. Elizabethton Twins, 6:00 PM Central time on Tuesday. The US entry level club took a forced Sunday off due to a pair of rainouts. The 22-10 first-place Cardinals failed a second time to get their July 24 game in. It has been moved to August 3. The regularly scheduled game was rescheduled for August 8. Both days will be doubleheaders – weather permitting, of course. The rookie-level circuit takes Sundays off. Monday’s games: DSL Cards Blue vs. Nationals, Cards Red at Arizona2, 10:30 a.m. Eastern time.